Our office is unlike any other dental office you've been to. 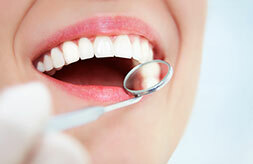 We offer the latest technology in dentistry in a warm and comfortable environment. 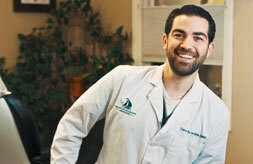 Dr. David Scardella will respond to all your dental concerns. We especially enjoy making beautiful smiles through cosmetic dentistry, dental implants, crowns, dentures, and veneers. Call today to speak with one of our team members and find out how we can solve your dental needs. Dr. David Scardella purchased Center for Progressive Dentistry in 2015 from a well-respected dentist, Dr. Joseph Santelli. After practicing dentistry in Plymouth for 35 years, Dr. Santelli started on a venture to create his dream practice. 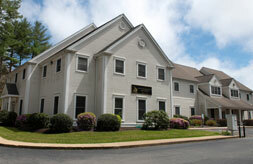 He found our convenient location on Route 3A (33 Enterprise St.) in Duxbury, MA and opened the doors. Dr. Santelli focused mainly cosmetic dentistry, mini dental implants, and dentures, which are his passion, but found that his patients really needed a full-service general dental practice. We now have a fantastic hygienist, Julie, and Dr. Scardella performs a variety of general dentistry procedures. In 2016, Dr. Santelli retired after 45 years in the dental field. Dr. Scardella and Dr. Santelli believe in the same philosophies regarding the most comfortable patient experience possible. Dr. Scardella is a general dentist and enjoys performing a variety of dental procedures, including dental implants, crowns, bridges, and root canals. We offer comprehensive, high-quality dental care to all of our patients.